Hello Reader! Like South Korean Action Films? How about Arrows, Swords and Cleavers? Well Hey this film here looks like it might be for you, so hold on to your eye lids and check out the trailer below. 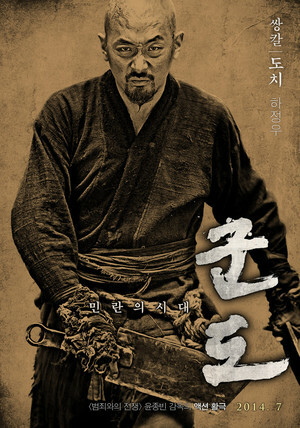 Kundo: Age of the Rampant the film outa South Korea gains a Trailer with no English Subtitles but hey no need for em when you can just watch the action. The film looks to be filled with tons of people getting sliced and diced along with some hand to hand action, the Period piece has got my eyes and I look forward to this in the U.S. Hint Hint Well Go USA…..Maybe? Hope so!